1. Vogue has a preview of Jean Paul Gaultier’s upcoming exhibition at the Barbican. We’re pretty stoked to hear that The Fashion World of Jean Paul Gaultier: From the Sidewalk to the Catwalk stays true to Gaultier’s playful aesthetic. 2. Kate Moss debuts her new collection for Topshop this month. Take a peak at the collection’s full lookbook. 3. 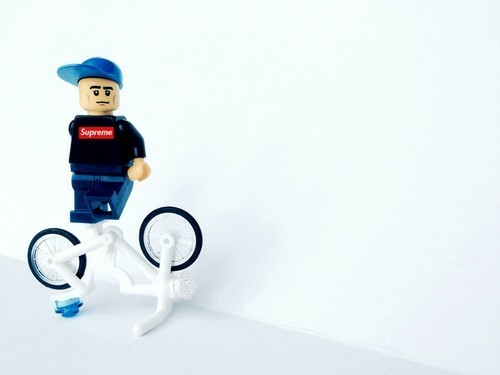 Adly Syairi Ramly, the Malaysian artist who recreated famous bands with Legos, has a new Lego mash-up series of your favorite sportswear brands. 4. Danny Brown released a new music video for “25 Bucks,” which also features an appearance and music by Purity Ring’s Megan James. 5. Because we’ve been so excited by all these Gaultier exhibition details, here are artist Annie Kevans‘ portraits of Gaultier’s muses. 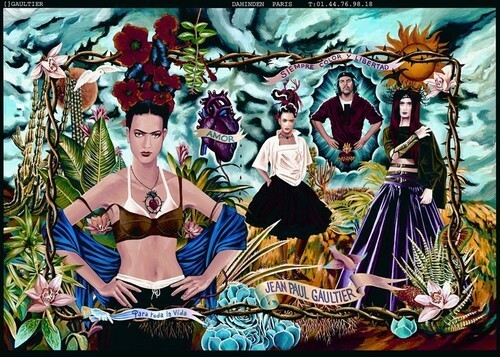 Her paintings will also be on show at The Fashion World of Jean Paul Gaultier: From the Sidewalk to the Catwalk.